How to quickly get up and running with the kBox. Please read the following short guide and watch the introduction video before your first workout. Remove the products from the box (see video). Place the kBox on its feet on a flat, stable surface. Store all packaging material for any future transportation needs. Unscrew the flywheel retainer nut (see video). Mount the flywheel or flywheels. For your first exercise, start with one or two heavy flywheels. Fasten the nut tightly while holding the flywheel’s outer edge. If the flywheels produce a sound when changing direction, then tigthen the nut. Open the snap shackle by pulling the ring holding the sprint. Attach your desired attachment, such as kGrip, kBar or Harness. 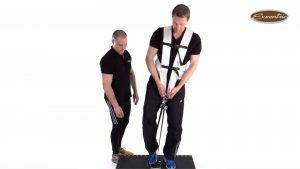 If using the Exxentric Harness, turn the flaps with the rings inwards so the flaps don’t cut into the inguinal soft tissue (see video). 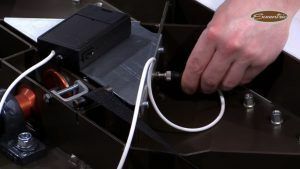 Plug in the kMeter module to the socket underneath the kBox. Turn on the kMeter module. Download and start the kMeter app (see the kMeter Quick Start Guide). Decide on a workout such as squat or biceps curl, depending on available accessories. Position yourself with both feet on the kBox, always using shoes. Unwind the belt from the shaft. Adjust the belt length as desired by holding the belt pedal down while you position the pulley in the desired top position and wait until the excess belt has been automatically rewinded. Wind up some belt on the shaft, by setting the flywheel in motion in any direction using your hand or foot. 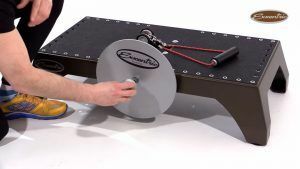 Pull until the chosen top position, where the motion will change direction and the flywheel will start pulling you down. Without resisting, let the flywheel pull you down to your desired bottom position (beginning of concentric phase). 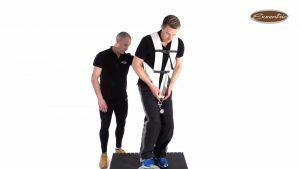 Start working out by pulling and resisting, performing concentric and eccentric movements. Decelerate the flywheel to a complete stop in the end position where the pulley is closest to the bottom. 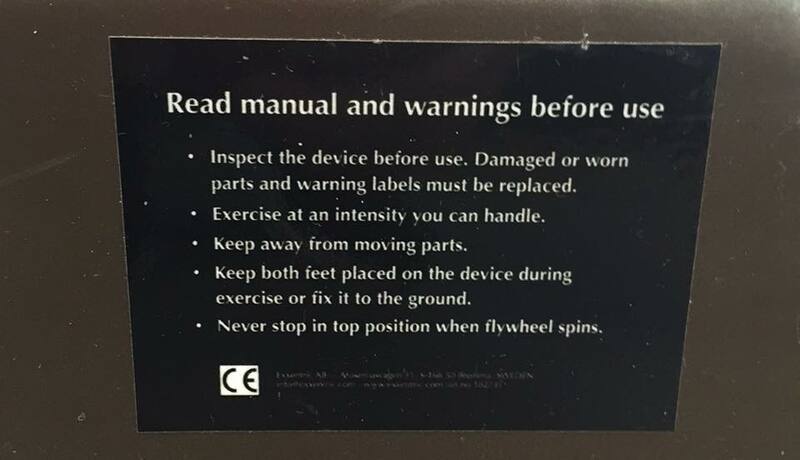 To put the flywheel to a complete stop, press the sole of your shoe against it after deceleration. 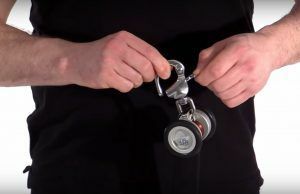 If you are using a harness you can also disconnect the harness from the pulley using the shackle. Congratulations on your first flywheel training experience! Contact us or your reseller for help, or go back to manuals and guides.